Muslim-majority Malaysia will no longer host any events that include Israel on the guest list, foreign minister Saifuddin Abdullah said Wednesday. Abdullah made the public announcement as he reiterated that swimmers from the Jewish state were barred from a forthcoming swimming competition which will serve as a qualifying event for the Tokyo 2020 Paralympics. Despite a plea from the International Paralympic Committee to find a solution to the row, Abdullah doubled down on Malaysia’s opposition to the Jewish state. 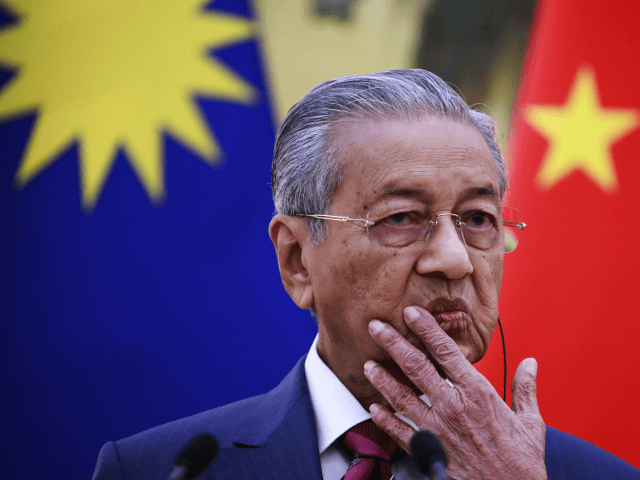 Last week Malaysia Prime Minister Tun Dr. Mahathir Mohamad said Kuala Lumpur would deny visas to Israeli para swimmers seeking to attend the meet on the grounds that Malaysia has no diplomatic relations with Israel. The IPC said in a statement that it was “disappointed” with Dr. Mahathir’s comments, although it would aim to “find a solution” to the issue. He has also boasted that he is “glad to be labelled anti-Semitic,” and drawn comparisons between the Jews and the Nazis.